With lots of character and texture, these yarns are great to feature in multi yarn projects such as crochet blankets, scarves and woven artwork. They are the most exclusive yarns we make and are one-of-a-kind for sure! These guys are the party! They are the bright, hard-wearing colours and although the dyes we use have been made in a lab, they are eco friendly and heavy metal free. Better for you and the environment. 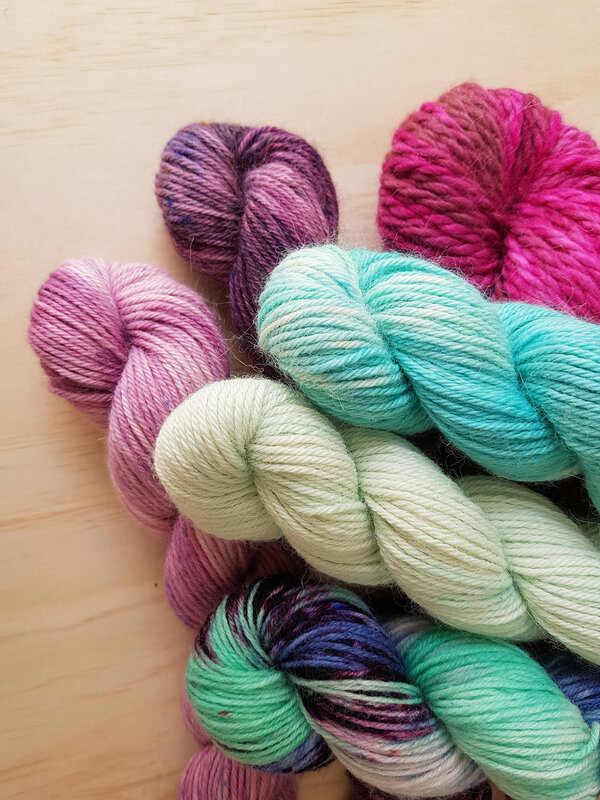 Each yarn in this collection is hand-dyed using plants we have grown ourselves, harvested locally or rescued from the local green grocer before it goes to compost. This is a truly special bunch straight from mother earth!